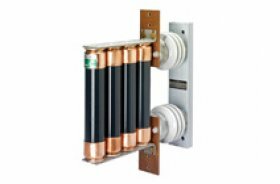 Limit Amp Style Bolt-in R-rated Motor Starter Fuses are current-limiting, high interrupting rating fuses intended for the short-circuit protection of General Electric Limit amp brand of medium voltage motors and motor controllers. Mersen's General Electric Fuse support and disconnecting switches are used for mounting and installing medium voltage fuses. Live parts and accessories are also supported. 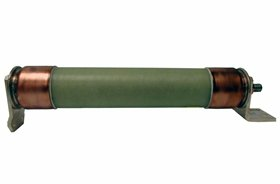 Mersen's General Electric General Purpose fuses provide excellent over-current protection and noiseless operation. They also protect transformers and distribution lines. 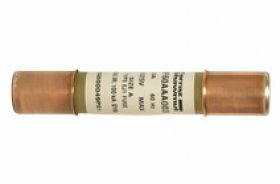 Mersen's General Electric PT fuses are small dimension, ferrule type current limiting fuses with high IR that is perfect for the protection of potential transformers. 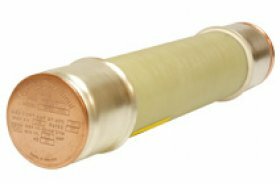 Mersen's General Electric R-Rated fuses are current-limiting, high interrupting rated fuses that are intended for the short circuit protection of medium voltage motor and motor controls. Mersen's General Electric E-Rated Power Distribution fuses offer dependable high-speed interruption of high-magnitude short circuit currents.